You've battled aliens insects, cyborg freaks, and illuminate tricksters across hundreds of worlds in the constant galactic battle defending Super Earth. You've also died like a trillion times on various alien planets, and your body (if it wasn't smashed into paste by one of your own drop pods) was probably defaced by alien scum. Such is the eventual fate of all who join the Helldivers. Arrowhead's spent some time since launch hammering out more ways to spread Democracy to worlds plagued by unbelievers. A free update to Helldivers, titled "Turning Up The Heat" is currently in the works, though the exact release date isn't known just yet. They did announce it with this fun little teaser, however. Clearly, this content update isn't reinventing Helldivers as we know it. Same heroic music. Same cries about Democracy and how great that is. Same risk of accidentally unloading an entire magazine into the back of your buddy's skull. But, new weapons! And by the looks of it, maybe a few new baddies as well. 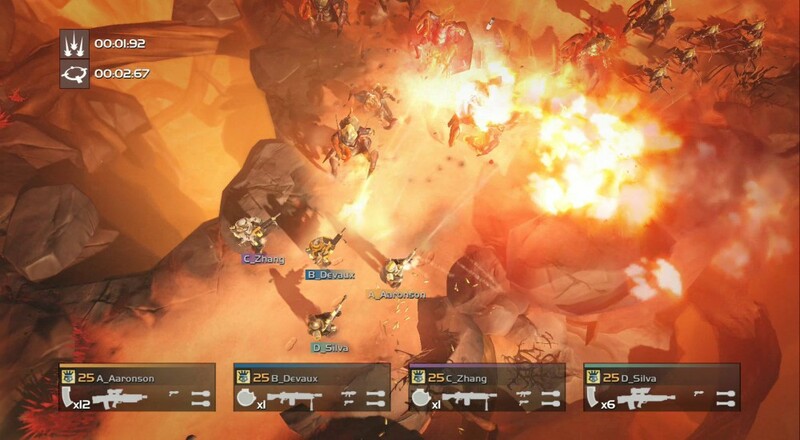 I've been really impressed by the community in Helldivers. We might win some wars, we might lose some, but people are still gunning down those filthy cyborgs and defending our way of life on Super Earth with their last, agonized breath.